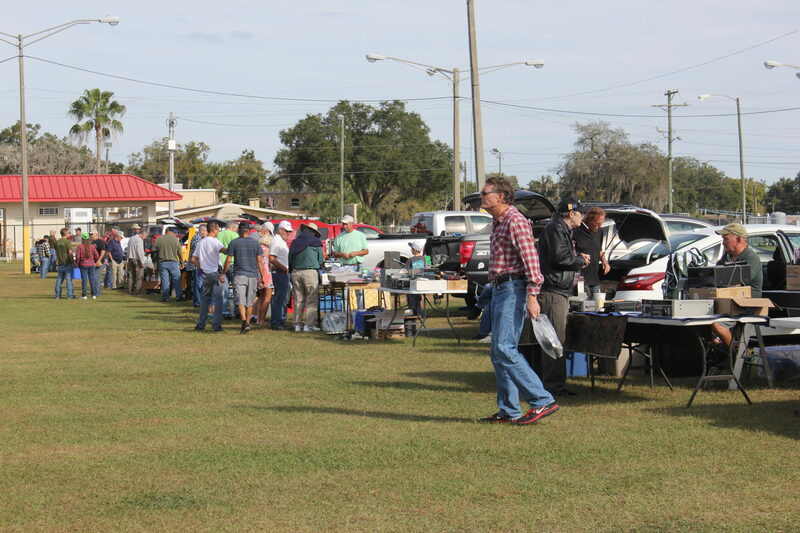 The 44th annual Tampa Bay Hamfest will open on Friday, December 13th, 2019, and run through Saturday, December 14th. Here is your shortcut to buying tickets and ordering tables and booths. Tailgate too. Message from our President, Bill Williams. 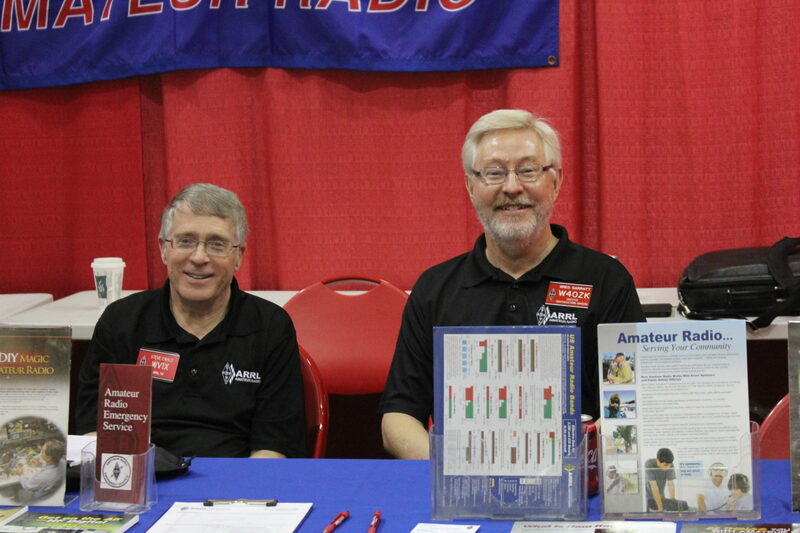 Hello and thank you for another successful Tampa Bay Hamfest. The perfect weather returned to us this year as we enjoyed very comfortable Florida weather with clear skies and shirtsleeve temperatures. We had a bumper crop of tailgaters to enjoy great outside sales and an equally eager group of vendors indoors too. Thank you all who came to wheel and deal, selling and buying. 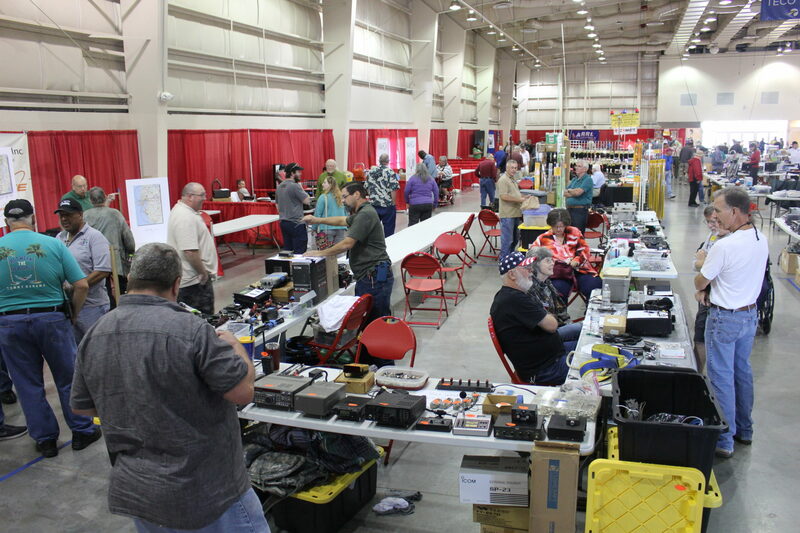 That is what makes a successful Hamfest. We can’t do it without your support. 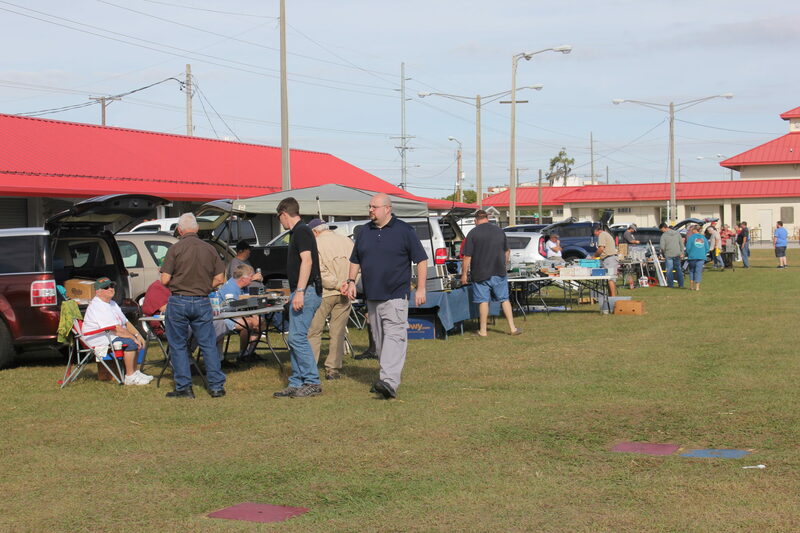 2018 is over but the FGCARC Board has started planning for our 44th Tampa Bay Hamfest in 2019, Friday December 13th and Saturday December 14th. 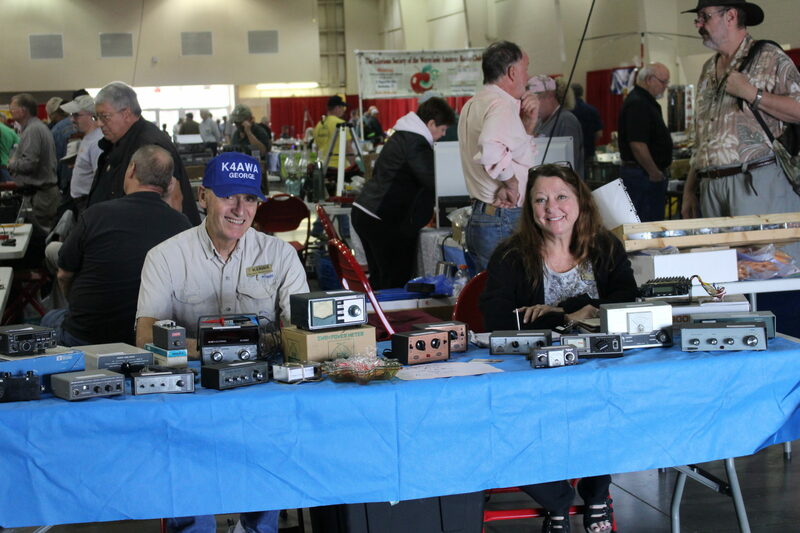 The website has been updated with the details of the next Hamfest and you are encouraged to help us with ideas and improvements. Contact us using the contact form in the website or click here for easy access. 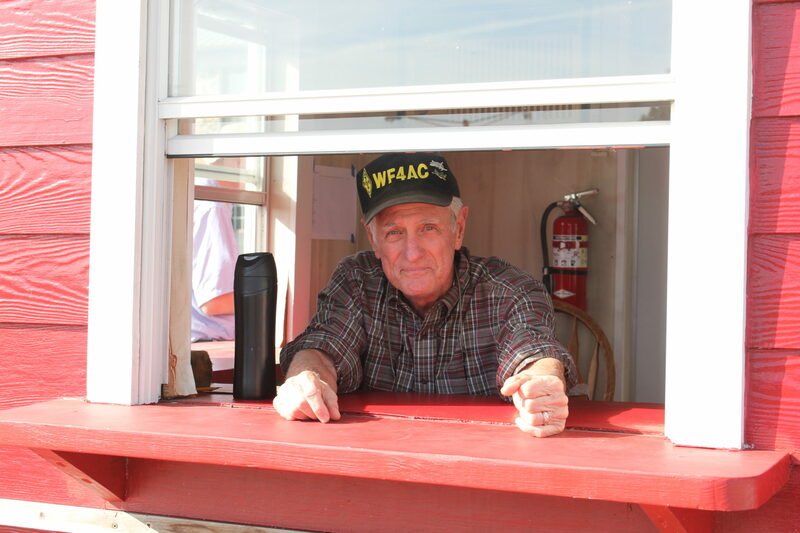 One of the difficulties each year is the shortage of willing volunteers to help run the Hamfest. We always need help with the tailgate sales area and with ticket sales spots inside the Hall. So if you have a few hours you are willing to spare helping us, reach out to Security on the contact form and we will set you up to suit your schedule and be very appreciative. By the way, there is a $50 cash prize drawing as a way to thank the volunteers. As you can see to the right of this letter, we have listed the Grand Prize winners in in our door prize drawings. 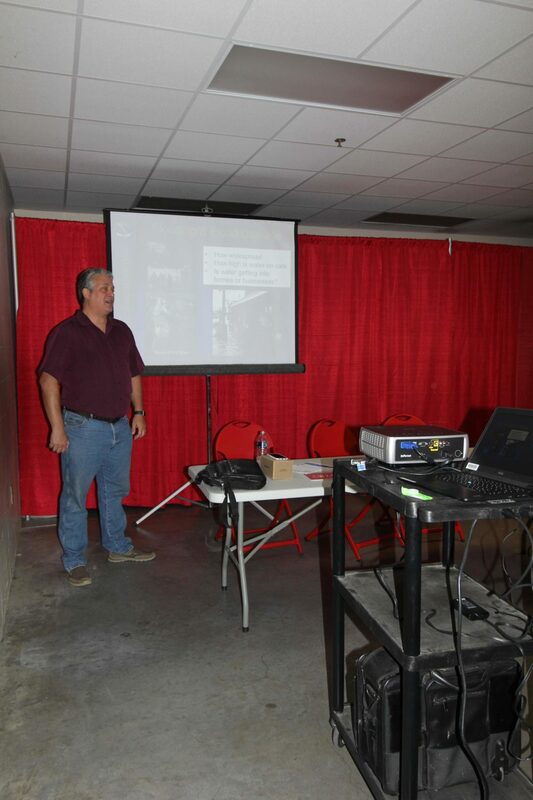 We thank Dave Welty for his handling prizes and announcements. Beyond the Grand Prizes we handed out many more prizes such as ARRL cash certificates, Hamfest Bucks (for your use buying from any of our vendors), handheld radios, emergency kits and other useful prizes. 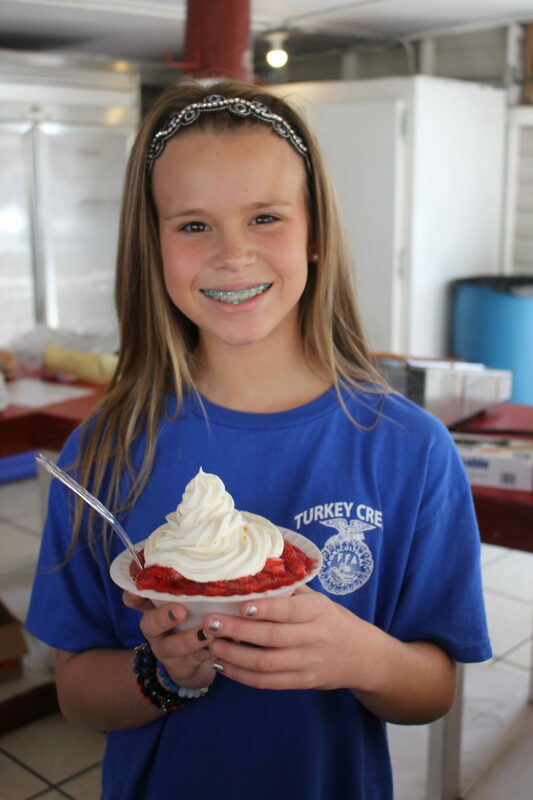 The Future Farmers of America did another great job with the fine food and refreshments. The strawberry shortcake was, as always, the highlight of the menu. Thanks, guys and gals of the FFA. All the best in 2019. We’ll see you again in December. 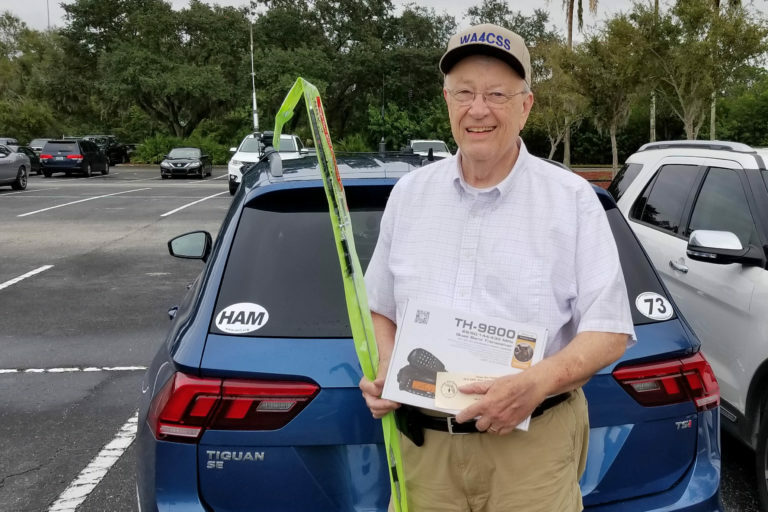 Gerald won a TYT 9800 Quadband 2m, 70cm, 6m, 10m FM 50w mobile radio bought from Ham World, and a Comet Quadband Antenna for it from Tower Electronics. He says this is the first time he ever won anything at a hamfest. Howard won a Yaesu FT-70DR C4FM Fusion Wires X dual band 2m and 70 CM. If you ask the all-knowing Internet that question you will get this answer: A hamfest is a meeting of people interested in Amateur Radio. 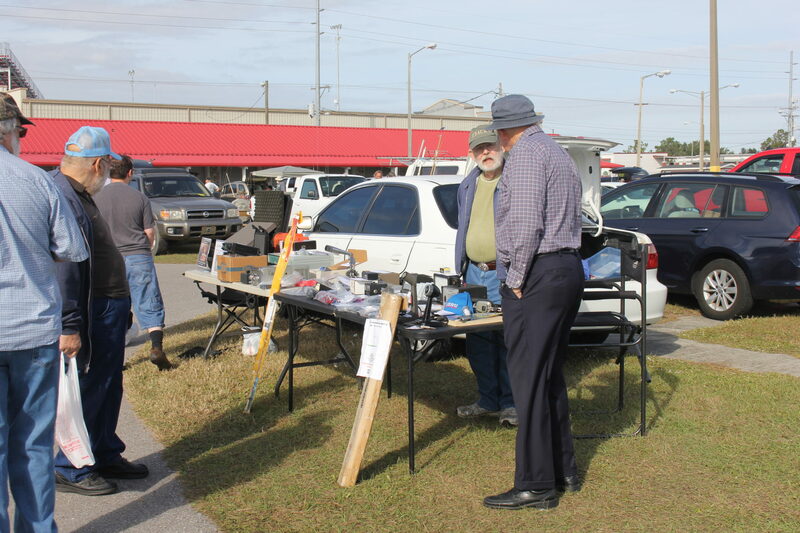 Hamfests offer exhibits, forums, and fleamarkets for Amateur Radio operators or “hams.” Now that is all well and good and certainly describes the fundamental offerings of the Tampa Bay Hamfest but there is more than that, much more. 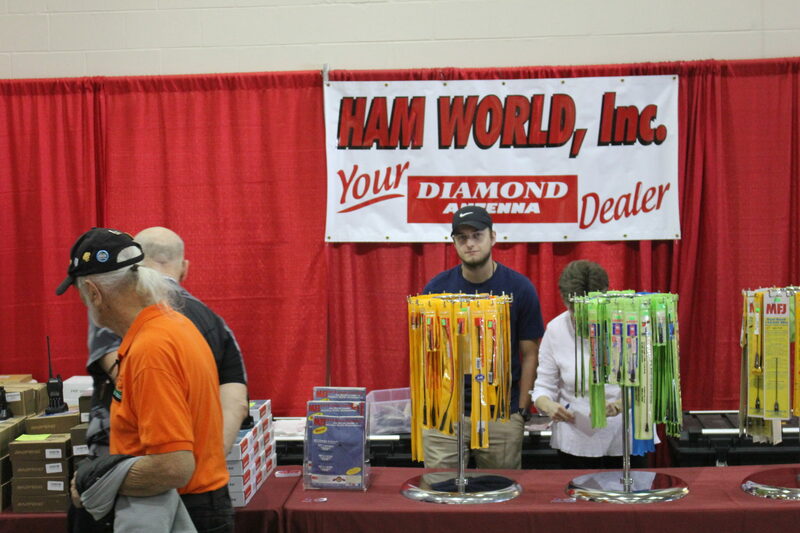 What you can see at this Hamfest is a gathering of hams enjoying the camaraderie of fellow hams. This is the intangible benefit of this Hamfest and indeed all hamfests. We like to have the opportunity to gather and meet our friends from other parts of Florida and elsewhere. 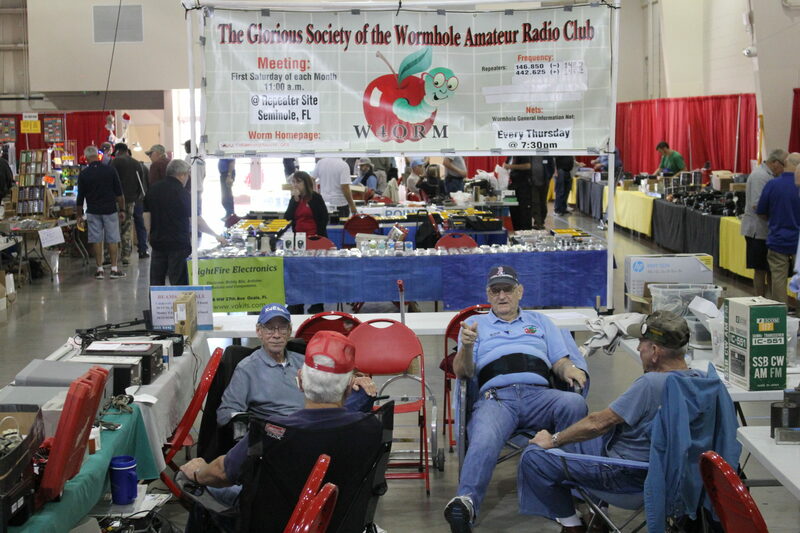 Please join us, vendors, clubs and hams alike, in celebrating our hobby – amateur radio. As you can see, our website has a new look. We would like to keep the site up to date with new information as it becomes available. To this end we will add items of interest to local hams and to our vendors to this Home Page as they become available. Please keep checking in for this information as we add it. In addition we ask for your participation in this effort and ask you provide items and information you would like to pass on to our local ham community. Thanks in advance for your help. This effort will doubtless have its glitches and oversights so we always appreciate hearing from the sites users with constructive comments and advice. Click here to contact us.